Das große Buch eines Fans über die 80er Jahre TV-Serie und das Comeback in 2008. Mit allem, was ein Fan wissen muss. Weitere Informationen zum Inhalt auf der Buchrückseite. 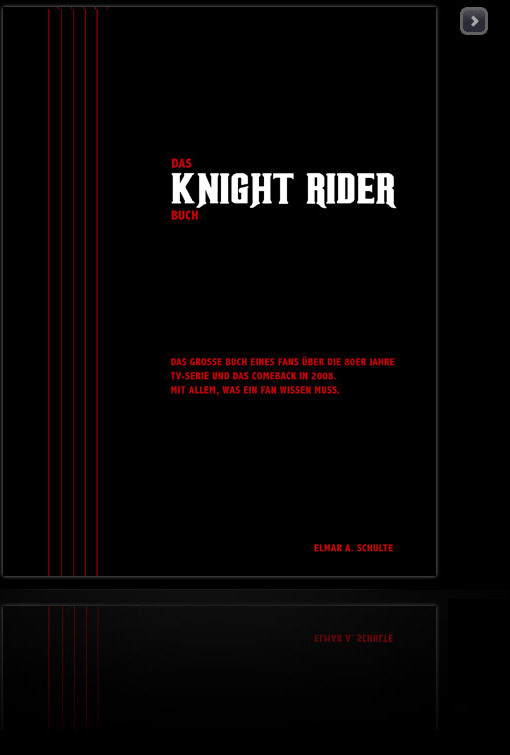 Das Knight Rider Buch ist nicht nur ein "must have" für jeden Knight Rider Fan. Es stellt auch ein ideales Geschenk für jeden Knight Rider Fan dar und bereichert die Kollektion eines jeden Film- und TV-Liebhabers. Knight Rider is a trademark and copyright of Universal Studios. Licenced by NBC Universal Television Distribution. All Rights Reserved. The subscriber is not authorized to use the protected property for any commercial purpose whatsoever. Nothing contained herein shall be construed as creating any license or right under copyright, trademark or other intellectual property right of NBC Universal. Unauthorized distribution, duplication, alteration or other use of protected property, including without limitation any trademark, image, drawing, text, likeness or photograph may constitute a violation of the laws of copyright and trademark and may be prosecuted under criminal and/or civil law. No orders will be accepted or fulfilled for NBC Universal Television Distribution products outside of Germany, Austria and Switzerland.